New Mosmatic Surface Cleaner Aqua with Integrated recovery. The dirty water and debris is recovered and expelled with the Venturi principle eliminating the need for vacuum system. 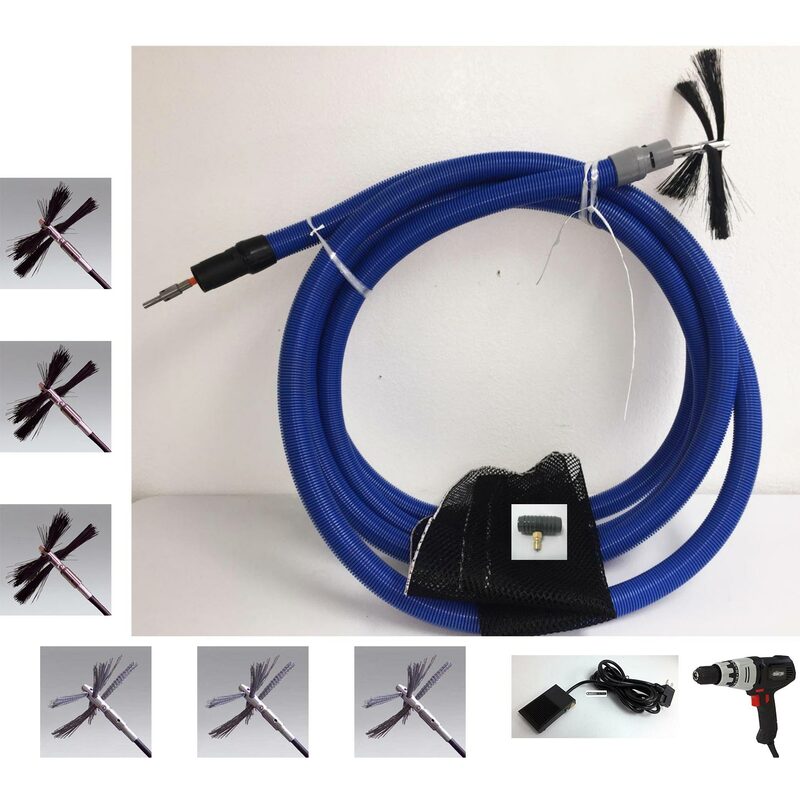 Simple place your export hose to a desired drain point. Areas both large and small are cleaned effectively without requiring bulky vacuum systems and long runs of hosing. Triple 03 nozzles (2 for surface cleaner and one spaying in the discharge hose. All in one venture recovery export to allowing cleaning and debris removal in one easy step and without requiring a separate vacuum system. Can withstand up to 4000 psi, are precision welded and balanced. High rpm stainless steel swivel features reinforced self lubricated stainless steel ball bearings for improved performance. The dual spring based carbide seal system, guarantees long lasting operation under tough conditions. 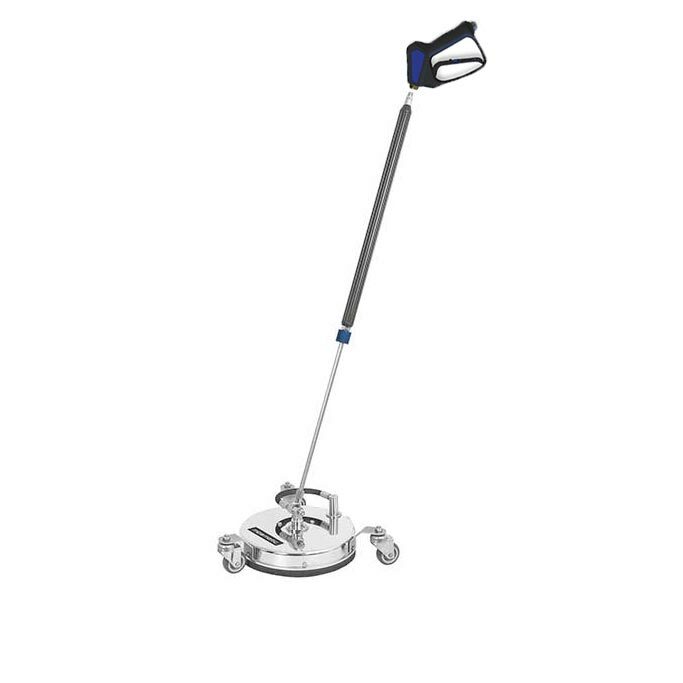 Heavy duty ø 2¼"casters with custom mounting brackets ensure easy manoeuvring even in confined spaces. 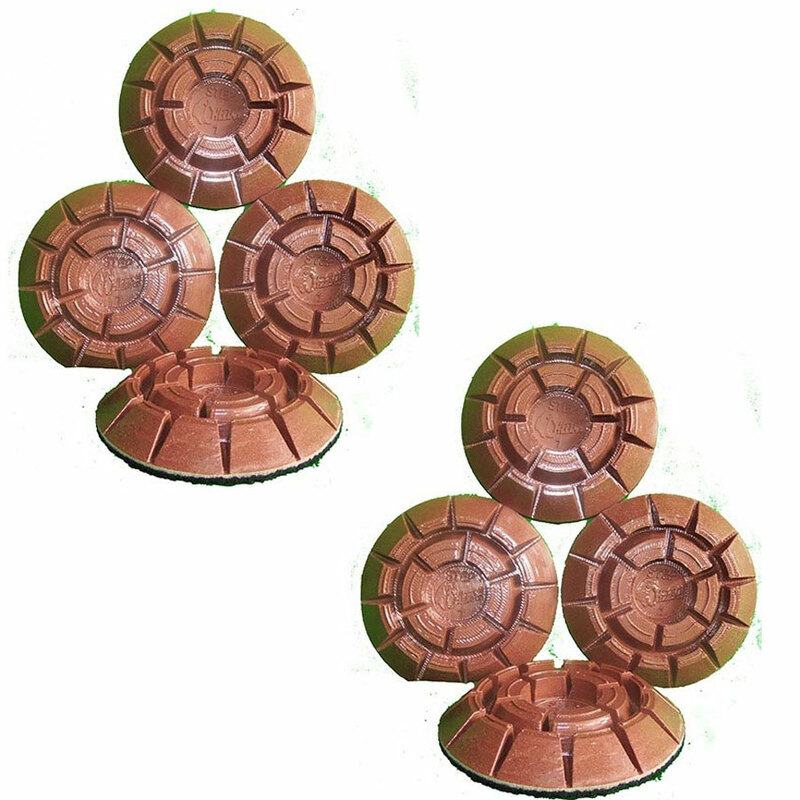 Ideal for outdoor applications such as concrete, brick, limestone or wood surfaces. FL-SAR 78.144 12" 10.1 lbs 1x DYF 2x 1/8" NPTF --- --- 3x ø 2¼"
Steambrite's Wands for Hard Floor And Spinner w Air Water Recovery - Mosmatic 78.293 Aqua FL-SAR Surface-Cleaner 4000psi Water Pick Up Recovery without a Vacuum! [78.293] is . 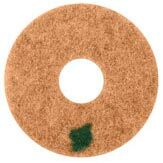 Steambrite will ship the Mosmatic 78.293 Aqua FL-SAR Surface-Cleaner 4000psi Water Pick Up Recovery without a Vacuum! [78.293] by either Fedex or Freight Quote, and are normally shipped within 1-10 working days. Please remember it takes 6-8 working days for you to receive your order after shipment, and ground shipping times are not guaranteed. Next day and two day service are available. Click here for our full shipping policy. Specifications subject to change without notice. Steambrite's Wands for Hard Floor And Spinner w Air Water Recovery - Mosmatic 78.293 Aqua FL-SAR Surface-Cleaner 4000psi Water Pick Up Recovery without a Vacuum! [78.293].